In this modern generation mobile phones are very essential in our daily life as it does many of our work in few seconds. But when you receive some frequent miscalls you get concerned, and to solve your this problem we are here with a total solution to Trace Mobile Number with Owner Name and Address, now you can easily detect the miss call from which location did it came without having any high tech knowledge within few clicks you can know the exact location and Trace Mobile Number with Owner Name and Address. So next time when you receive unusual call, miscall or messages you can easily track it by using our tutorial. TrueCaller.com is an online portal which allows to trace mobile number and shows up the owner name and address of the mobile number. 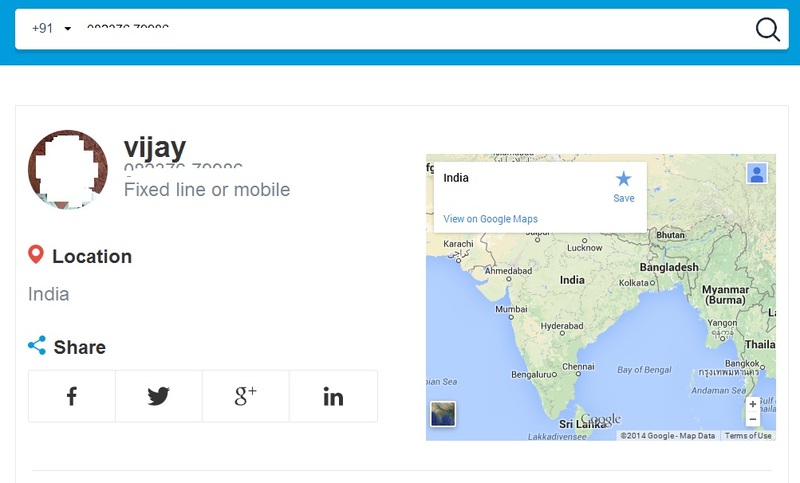 To trace mobile number with owner name and address you will just have to visit truecaller.com and enter the mobile number which you want to trace and click on search. It will ask you to login with Google, Facebook or Yahoo account just login with any one and in the next screen it will show you up the results of traced mobile number that is name and address of the mobile number owner. You can also download TrueCaller app on your mobile to trace any mobile number easily and instantly, TrueCaller have their apps for Apple, Android, Windows Phone, BlackBerry, and Symbian. How TrueCaller gets mobile number owner name: As you now know that TrueCaller app is available for most of the mobile devices and when the user installs the app TrueCaller on his or her mobile the app scans all the contacts from your device and syncs it into TrueCaller servers, so this sync helps them to maintain a database on their server the Mobile Number with Owner Name and Address. So next time when anyone traces the mobile number if the mobile number with name is stored in their server database they will show the results with the owner name or else it will only show you the location that is the address. There are several website which offers a mobile number to be traced and on tracing they show the location of the mobile number which means from where the mobile number is as well as the Mobile Operator Name, so below we have few websites which allows you to trace only the location of a mobile number and Mobile Operator. If you don’t like to use any of the apps or online portals to trace mobile number there is another alternative to trace mobile number location or address and mobile operator. Only the first four digits will allow you to know from which location you have receive the miss call for more information regarding tracking mobile number location offline by knowing four digits of mobile number visit Wikipedia. i want to the current location and name of owner of mobile no. 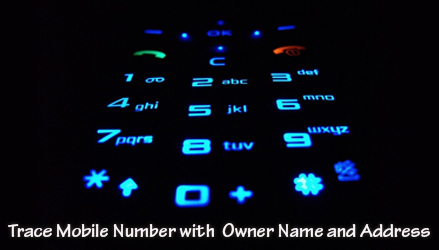 Just follow the above steps to trace the mobile number.